You’re paying premiums to protect yourself and your business against something you don’t actually want to happen. So, if and when it does, you will expect us to act quickly and in your best interests to ensure a fair result with the minimum amount of disruption. All we ask you to do, if an incident occurs which has even the remotest possibility of becoming a claim (now or in the future) is call us as soon as you can. Not only will that comply with the requirements of your insurance policy, you will also have the benefit of us guiding and helping you from day one through what can sometimes be a complex and uncomfortable process. 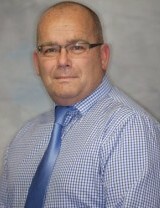 Chris has been with ALDIUM for over twelve years having previously been a claims loss adjuster. He manages our Claims Department and has the necessary skills, experience and determination to achieve the best possible outcome on your behalf.